My family has lived in Suffield, CT for about 7 years. Suffield borders Western Massachusetts, and often times, it can feel like we belong more to Massachusetts, then to Connecticut because we spend so much time there. Historically, Suffield was a Massachusetts town, traded to Connecticut in 1749. When Back Road Ramblers offered me a guest spot in their hometown series, I wasn’t sure I would have a lot to offer when discussing Suffield as a tourist destination. But when I began to really think about all the things this town offers, I found a new appreciation for the town my children are growing up in. Main Street in Suffield is on the National Register of Historic Places. I have spent many days and evenings, admiring this beautiful street, peering in windows of these stately homes, thinking about the families that have called this place home, wondering what our connection to them is and contemplating what they would think of our little town today. While Suffield has been growing in recent years, with larger homes and families with larger incomes moving in, it has deep roots in the agriculture industry. 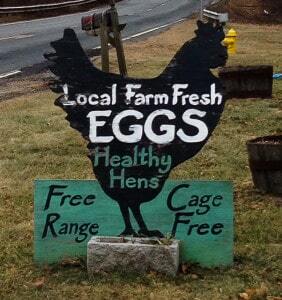 I love that on any given day, we can stop at a local farm stand and pick up eggs or produce. There are always self serve carts to purchase pumpkins or a wreath for our front door in season. We have Markowski’s Christmas Tree Farm, that provides a cut your own experience and sleigh rides to the tree of your choice. 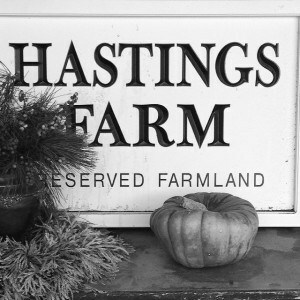 We often stop at Hastings Farm, a multi-generational, family owned and operated farm that provides us with dairy, meat, and eggs. 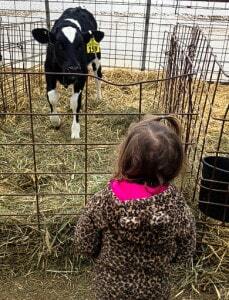 My children love to visit the calves in the greenhouse, just next to the store. We can purchase a CSA at Oxen Hill Farm, a certified organic farm with property in both Suffield and nearby East Granby, CT. They provide us with pesticide-free veggies and herbs all summer and fall. They even offer a flower share, offering a new bouquet of fresh flowers each week. While maybe not the most politically correct crop, Suffield, CT has deep ties to the tobacco industry. There are still several working farms in town and throughout Connecticut, that grow the most sought after tobacco leaf in the cigar industry, providing the outer wrap of all high-end cigars in the world. My generation and many prior to mine spent their 14th summer learning how to harvest and hang these leaves, being tutored in the art of sewing leaves and maintaining them for sale. Broadleaf tobacco is the #1 most lucrative crop in Connecticut. Regardless of your feelings, these tobacco barns dot our landscape, not only throughout Suffield, but throughout the more rural areas of Connecticut as well. Our town would be barren without the shadows of these big, multicolored buildings, some still housing the leaves, others vacant for generations and falling down, still others being re-purposed into storage barns and recreational usage. We are not just a farming community. There are many opportunities for outdoor recreation in town, including numerous hiking trails, paved bike paths, a town lake, a park with a multipurpose pond, and a well-known amusement park nearby for summertime fun. The Metacomet Trail is a 50 + mile hiking trail with beautiful views of the Connecticut Valley. This is part of the New England National Scenic Trail, which includes the Metacomet, Monadnock and Mattabesett Trails, from Guilford, CT to Mount Monadnock, New Hampshire. 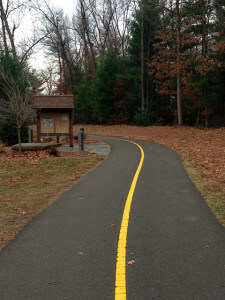 The trail can be reached, either through a path in Suffield’s Sunrise Park or at a few other locations, on Mountain Road (Route 168) in West Suffield. There are some steep inclines and the terrain can be fairly rocky, but there are beautiful views in numerous locations. 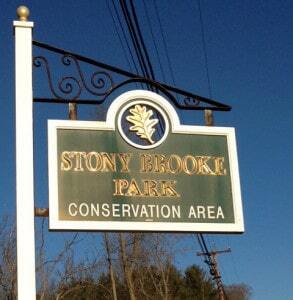 Located just off the Main Street Historic District, Stony Brooke Park is a 70-acre park donated to the town by a resident for conservation. There is hiking, cross country skiing, fishing and camping with proper permits available. We have an entrance to two bike paths; the Farmington Canal Heritage Trail and the Windsor Locks Canal Trail. The Farmington Canal Heritage Trail is part of the Rails for Trails initiative in the US. When complete, it will offer a bicycle path with over 80 miles of paved, off-road trails. There are a few incomplete areas, but the trail will run from Northampton, Massachusetts to New Haven, CT. The trail is the old New Haven Northampton Rail Road Line. Currently, the trail is paved completely from Westfield, MA to Farmington, CT offering a 28-mile continuous pathway for recreation. We often spend time walking or biking here in spring, summer, and fall, and it is a great area for snowshoeing in winter. 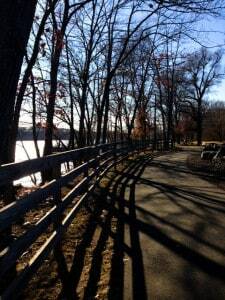 The Windsor Locks Canal Trail is a 4.5-mile paved path that takes riders along the Connecticut River and offers beautiful views of the water and this historic canal, originally constructed in 1829. There is access from the path to the waterfront where you can fish either on the banks of the water or off the bridge at the entrance to the trail. The state of Connecticut recently completed roadwork on the Enfield/Suffield Bridge that included a continuation to the bike path across the bridge into the much larger town of Enfield, CT, in their downtown Thompsonville Section. The path that leads across the Enfield/Suffield Bridge is open year round, however, the rest of the trail is open April to November. Be advised, there have been times recently when the path has been closed to visitors because Eagles have been finding this a favorite spot to nest. Be sure to check out the links provided above for any possible closings. 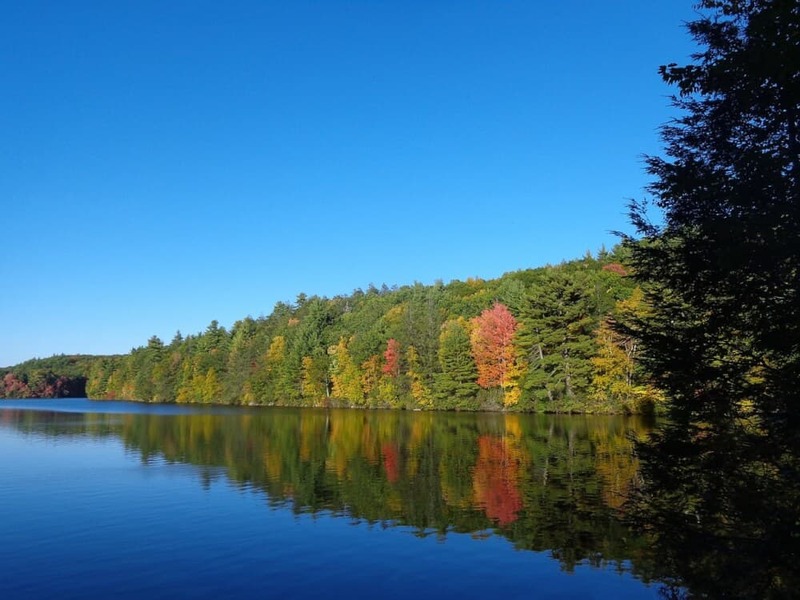 Lake Congamond is located in West Suffield and is shared by the neighboring town of Southwick, Massachusetts. Technically three distinct bodies of water- North, South and Middle Ponds, this is a multi-use lake, with tons of boaters and jet skiers in summer, a fairly large swimming area, called Babb’s Beach, and fishing in summer and winter. This is a 465-acre lake, with several little businesses and restaurants around the lake, including Red Riding Hood’s Basket Cafe. Technically in Southwick, MA, this adorable remodeled 1900’s General Store, offers ice cream, fresh baked goods, sandwiches, and an assortment of treats to bikers and boaters all season long. The town of Suffield purchased Sunrise Park from the estate of a long-time resident, in 1966. This 130-acre park can be used by town residents and their guests, free of charge. There are picnic benches, a small sandy beach at White’s Pond for swimming, fishing or canoeing at the lake and hiking trails, including a Braille trail. The Braille Trail was donated by Suffield resident Nate Book, as a project to complete his Eagle Scout Badge. It is a really cool way to allow a seeing impaired person to enjoy nature by putting up a rope to guide them with Braille signs of interesting natural resources and wildlife. There are two small playgrounds and a multipurpose building for gatherings that residences can rent. I joined a hiking group recently, and we have been exploring the trails around the park and challenging ourselves by following the trail that leads to the Metacomet Trail. It is a fairly steep incline and has rocky terrain. It has been a fun challenge; especially considering it is winter in New England and we are determined to enjoy our surroundings regardless of the weather. 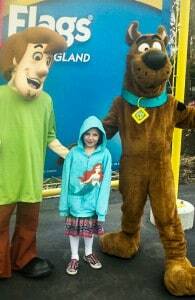 Our proximity to Massachusetts is a great bonus for our family as we spend many summer evenings at Six Flags New England. Because we are less than 2 miles away, we often enter the park just a few hours before closing, when most patrons have called it a day, and are able to ride all our favorites with virtually no line. Six Flags offers some of the largest coasters on the East Coast, an outdoor water park, included in the price of admission, and several toddler-only areas with rides for the little ones and splash pads for those sweltering New England summer days. Want to read more about beautiful small towns in Connecticut? DQ Family Travel has a great post about things to do in nearby Middletown, CT.
Getting Around – Bradley International Airport is just 4 miles from the center of Suffield, and car rentals are available right at the airport. 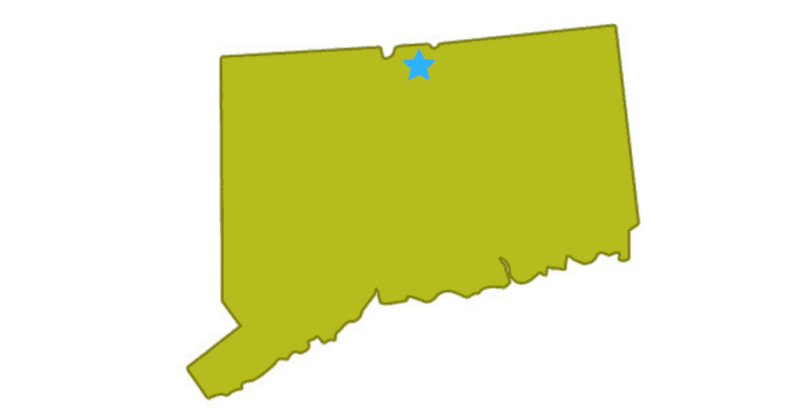 Suffield is also less than 20 miles from Hartford, CT, which is the local transportation hub. You will find public buses that also run between Suffield, the airport, and Hartford. 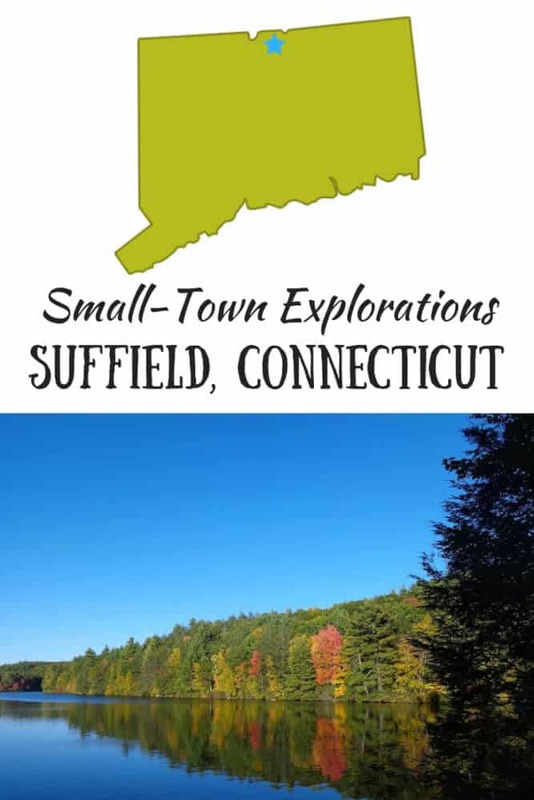 What to See and Do – The Connecticut Office of Tourism is a great resource for planning a trip to Suffield. They have lots of information about special events and attractions, as well as suggestions for shopping and dining. Where to Stay -Suffield is a small town without a lot of lodging opportunities. We recommend staying in the nearby town of Waterbury, which is about six miles from Suffield. We find great lodging deals on Trivago. I am a native New Englander, who has chosen to stay and raise my family in the beautiful Northeast. I am on hiatus from my career as a healthcare professional, and while I miss working closely with my patients, I am loving being a stay at home mom to my three active children. I never expected to be dealing with Toddler World again at 40, but here we are…and I am enjoying it more now than I did at 30! When I am not chasing around my almost 2-year-old, I am probably planning our next trip around New England or somewhere else in the world. My family lives in Connecticut and every time I go visit we love to go on hikes, they’re amazing. I’ve never been to Connecticut even though I have family there. But it looks like a great place, after reading your article I definitely want to visit. I’ve never been to CT so this is a great article – I will have to add Suffield to my road trip plans! Also, I’ve heard so much about Six Flags and I really want to go! Six Flags is pretty awesome. Highly recommended! Hi Sarah, What a wonderful introduction to your hometown. I really would love to visit the area one day – rural and steeped in history. And how great is it to find these old photographs in your house? I agree that they now belong to the house. Did you frame them? Anyway, interesting read! Please do Katie. The beauty of a small state is you are never too far away! What an interesting little town. I love the idea of being pulled on a sleigh to the tree of my choosing. That’s just about the coolest thing ever! We moved to Connecticut about two years ago; we’re in the South Eastern part of the state (nearly to Rhode Island! )… we haven’t done much exploring in your neck of the woods; maybe when the weather gets a little nicer, we’ll check it out! So glad it brought back good memories for you, Helen. Thank you for reading. I love discovering so many great places in my native CT! There’s so much to do in our ‘backyard’! Thanks for reading about our little town Bonnie. It really is amazing there are still new places to discover, even in such a small State as CT.
Beautiful post and city – thanks for sharing. I always find places like this especially charming – nothing is fake and life is slower, more relationship oriented and overall better for you. When I was young, I had family who lived in Suffield and remember spending some fun days at Sunrise Park. So cool Jennifer! Small World! I guarantee other than the new Braille trail, it is exactly how you remember it. Suffield is a town that likes to keep its continuity. Thank you for reading. I, too, am from Connecticut and Suffield…along with the rest of the state is a fantastic getaway! Great post. I do love buying fresh eggs! Thanks for reading Corinne! Small world! Hope you have fond memories of your time here! How cool! I used to live not too far from there when I was in grad school! One of the many great things about Suffield..it is rural and quiet, but close to everything, including great universities, colleges and prep schools! Such a sweet introduction to Suffield. There’s a lot of heart in your recommendations. I can imagine it’s a wonderful place to raise a family. Thank you Elaine for your kind comments. I do love Suffield and raising my family here was like a dream come true for us. I am so happy to hear it came through in my words. Thank you Michelle! I hope you get the chance to visit Connecticut again soon! This post is a great find for me. We are coming to the US later in the year and will be staying about 20 minutes from Suffield for a few nights. We are avid leisure cyclists and the Farmington Canal Trail sounds perfect for us – thanks. I couldn’t imagine a more wonderful place to raise your family! It sounds absolutely delightful and seriously makes me want to move my family to a smaller town to raise my daughter! The history of your house is so cool – I love that you took the time to research the young boy and find his family plot. A great experience for your kids to see history hands on! Thank you so much for reading about our little town! We do love it, and it has been a wonderful place to raise our family. I’m fascinated by your calling card “find” – how exciting. And to discover the history of your house and those who’ve lived in it… We built a house in 1997, and within the walls we left a package for someone to find – pictures of the house at various stages of the build, and a letter with photos of our family. Our kids were 8 and 12 at the time. We imagined someone renovating at some time, and discovering the package… 🙂 I wonder how long it’ll be till they find it. 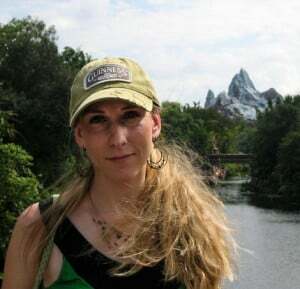 Lori: if you find yourself in New England, be sure to send us an email. I would love to provide suggestions for the best spots for RVing and destinations for sightseeing. familytravelrocks@gmail.com. Thanks for your comment..I would be so curious to hear if in 20 years or so, someone finds your package! Looks like a great place to wander! It really is Kari! Thank you so much for reading and commenting. Thanks so much for reading about Suffield.